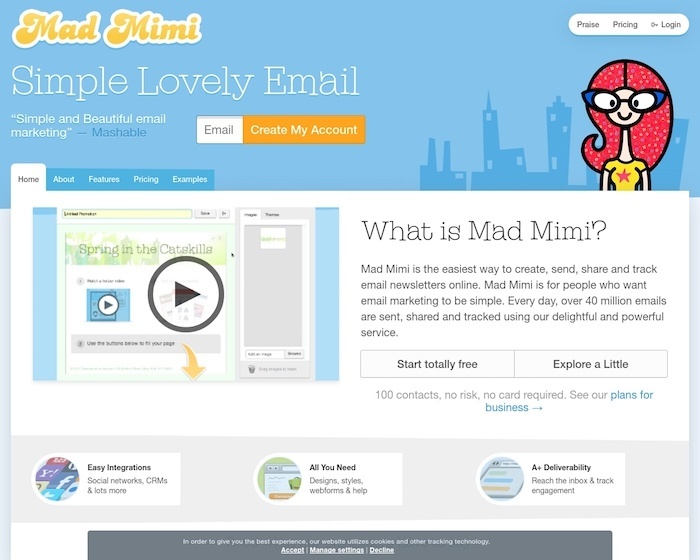 Mad Mimi makes it simple to send HTML email newsletters, grow your subscribers and manage your email list. Sign up for a free email marketing account today! Mad mimi helps me to manage my newsletter online. Basically, I set up my need and I can forget it then.